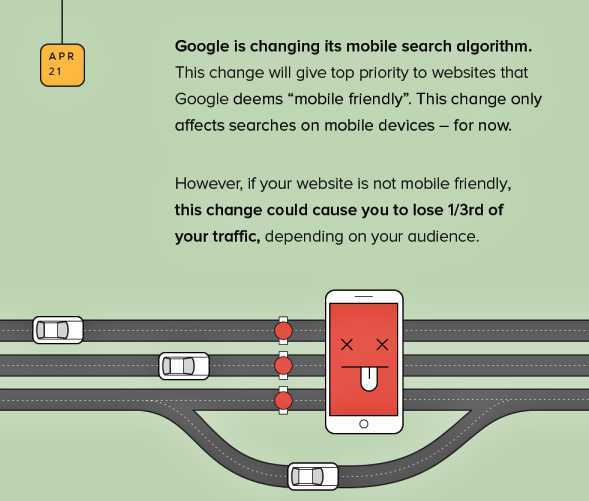 On April 21, Google will unveil their updated search algorithm which will dramatically impact non “mobile friendly” websites. Make sure to revise your mobile SEO strategy. Google will release soon an extensively updated search algorithm which will include a range of changes focusing essentially on rewarding mobile performance. Don’t underestimate the impact on your traffic, should your website not be optimised for mobile searches. Mobile SEO will be more important than ever so I recommend you study the insightful infographic put together by SumAll. How much focus have you already focused on your mobile SEO strategy? Do you even know how well your website performs on mobile devices, according to Google? You might want to use a neat free tool Google offers to developers, PageSpeed Insights.